This clever and unique heart ring design from Apples of Gold Jewelry will have you enamored with its interesting style, found only in this freeform heart ring in 14K yellow gold! Crafted out of a warm yellow gold, this beautiful ring has a freeform heart design. One end of the band of the ring meets the other end, and goes up and over to create a gorgeous heart that is every bit as impressive as it is lovely! 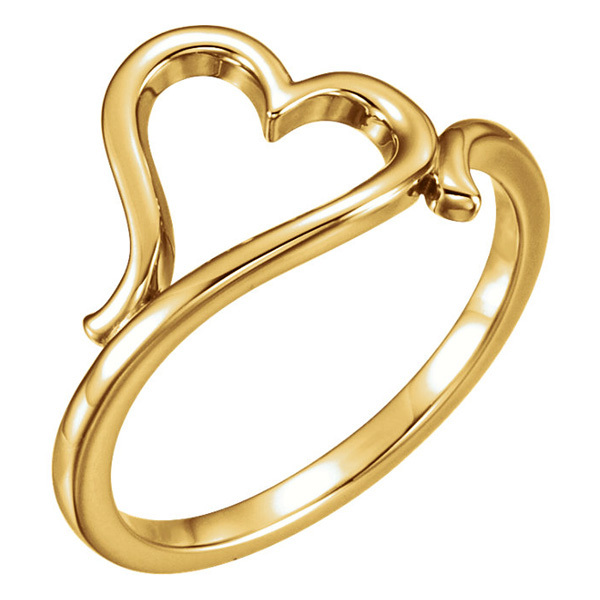 This beautiful yellow gold heart ring is the perfect way to remind her of how much you love her any day of the year! We guarantee our Freeform Heart Ring in 14K Yellow Gold to be high quality, authentic jewelry, as described above.